A year-old entry-level phone getting this kind of upgrade, late though it may be, is quite astounding. 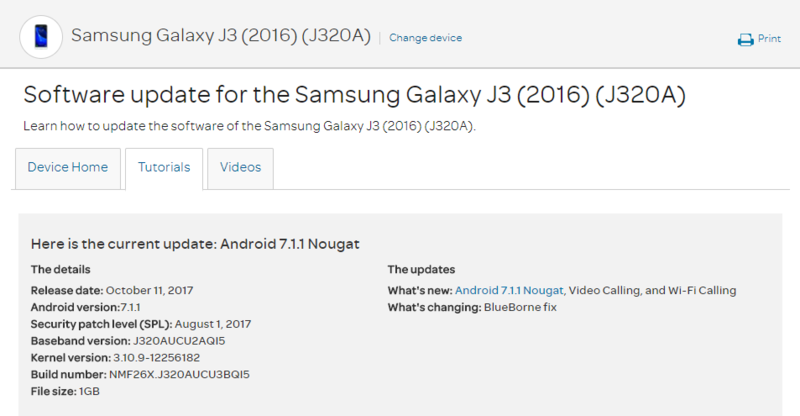 The J3 of yesteryear launched in May of 2016 for $169 outright, or $5.67/month. Owners of the device can look forward to many new features, like multi-window, an improved Doze mode, better notifications, and other improvements — not to mention the August security patch (a few months behind, but at least the BlueBorne fix is present). Build number NMF26X_J320AUCU3BQI5 clocks in at 1GB in size and should be rolling out to users now. So if you're still holding onto one of these, be looking for that oh-so-amazing update notification.